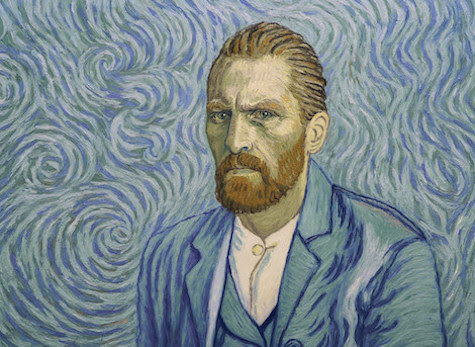 Friday, April 19, 6 pmThe story of Vincent van Gogh’s life and controversial death is told through the world’s first fully oil-painted feature film. Each of the 65,000 frames is hand painted by professional oil painters who traveled from across the globe to participate. Children ages 7–12 are invited to join our 2-day intensive on stop motion animation that includes story boarding, character creation, set design, and fabrication. Friday, Apr. 26, 6 pmThe Museum’s concert program featuring would-class artists performing in an intimate, casual setting, presents Yi-Nuo Wang. Wednesday, May 22, 7:30 am–9 pmParrish Members are invited to join Museum Director Terrie Sultan and Chief Curator Alicia Longwell for an art-filled day trip to Mana Contemporary. Deadline: May 31Artists living in zip codes beginning with 119 are invited to submit their work for Artists Choose Artists–the Museum’s triennial juried exhibition. PHOTO CREDITS: Film still from Loving Vincent; Art Camps. Photos: Jillian Bock; Yi-Nuo Wang. Photo: Yujun Ma; Photo: Paul Jun. Courtesy of Mana Contemporary.